Sharing the stage together for the very first time – Soul legends Dionne Warwick, Roberta Flack, The Drifters (pictured above) & Mary Wilson of The Supremes will perform at 3 arenas in the UK this autumn including the Manchester Arena on 6th October. Multi-Grammy award winning artist Dionne Warwick has sold over 100 million records worldwide – she is simply an international music legend. She received her first Grammy Award in 1968 for ‘Do You Know the Way to San Jose?’ and a second Grammy Award in 1970 for the best-selling album, ‘I’ll Never Fall in Love Again’. Joining Dionne and hailed as one of the greatest songstresses of our time is Grammy Award winning Roberta Flack, she remains unparalleled in her ability to tell a story through her music. She was the first to win the Grammy Award for Record of the Year not once but TWO consecutive times. ‘The First Time Ever I Saw Your Face’ won at the 1973 Grammys and ‘Killing Me Softly with His Song’ won at the 1974 Grammys. She remains the only solo artist to have accomplished this feat. Mary Wilson joins the tour as one third of the most successful female singing group in recording history alongside Diana Ross and Flo Ballard from The Supremes. The Motown legendary group was one of the most influential and memorable groups, hits that include; ‘Baby Love’, ‘Where Did Our Love Go’, ‘Nathan Jones’, ‘You Can’t Hurry Love’ and many more. Having enjoyed massive chart success on both sides of the Atlantic and across the world since their formation in 1953, where would a Legend’s Tour be without The Drifters? Their many hits include; ‘Save The Last Dance For Me’, ‘Saturday Night At The Movies’, ‘Come On Over To My Place’, ‘Like Sister & Brother’, ‘Kissin’ In The Back Row Of The Movies’ and ‘Under The Boardwalk’. 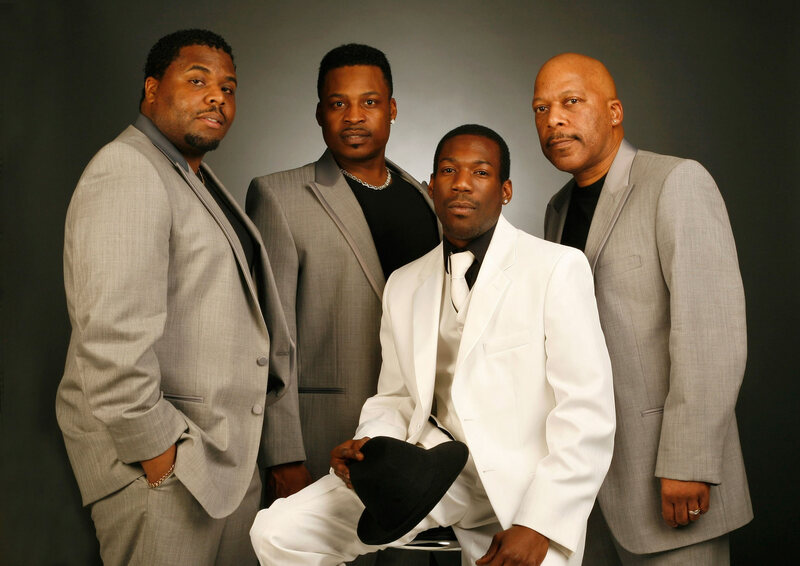 I spoke to Michael Williams of The Drifters recently ahead of the tour, Michael performed for the first time in the main line up in 2006 – he is currently the longest serving member in the current line-up. Michael tells me that everyone who joins the band will spend at least a year as an understudy, learning what it is to be a Drifter like those great guys Ben E King and Clyde McPhatter from the past. “It’s like serving an apprentice in lots of ways, you have to learn the walk and the talk. Not unlike how an actor might prepare for a role”. We’re following in the footsteps of great guys that have come and gone from this line up, great guys like Ben E King and Clyde McPhatter - we want to keep that legacy alive. “We’re following in the footsteps of great guys that have come and gone from this line up, and we want to keep that legacy alive”. A big fan of soul and the Motown movement, Michael says he is always excited and often humbled to share the stage with the global icons that are invited onto the legends Tour. “I remember in 2008 we did an arena tour with Gloria Gaynor, and it was so good being on tour with her then shortly after we toured with The Four Tops, The Temptations and the Three Degrees, I’m such a big fan of Motown, to work alongside those guys and share the stage together – that was a big thrill personally”. In the 70’s The Drifters were THE Band or one of the big names certainly in terms of songs released and popularity, the 1980’s however were a real step down, it wasn’t until they performed for President Clinton in 1993 that things started to pick up. “We would play working men’s clubs, in fact - anything we could get just to keep working, it was a shame to see those guys go through that, Johnny Moore went through it, he was a Drifter right up until he passed away in 1998 - he went through that, it was a real step down in terms of where the Drifters should be performing. In 2005 Prism music took over and we’ve aligned ourselves with Sony so we can try to put the Drifters back where they belong”. As a performer do you ever wish you could pick up and instrument and play live? Do any of the singles you perform allow you to do that? “4 years ago we did the icons tour and I got to play guitar on 2 of the tracks we performed. It was so good to show off a different skill. All members of the Drifters play a little bit of something, between us we play Piano, bass guitar and drums”. “Maybe I’ll get the chance to play guitar in Manchester this time, never say never”.